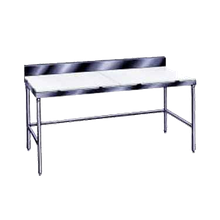 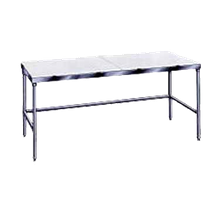 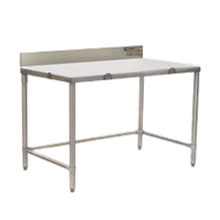 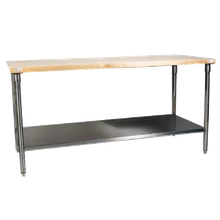 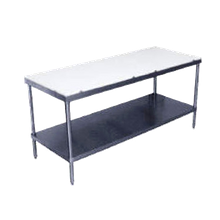 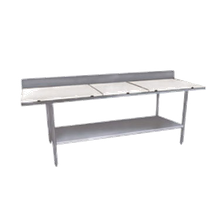 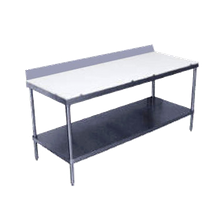 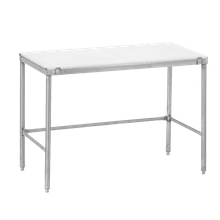 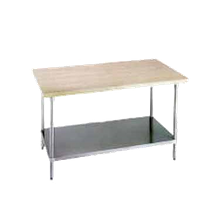 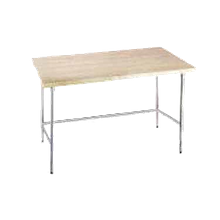 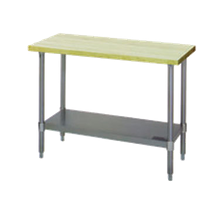 Eagle CT3036S-BS-X Cutting Table, 36"W x 30"D x 39"H, 4-1/2"H 304 stainless steel removable backsplash, 1/2" thick removable polymer top, 1-1/2"
Eagle CT2448S-BS-X Cutting Table, 48"W x 24"D x 39"H, 4-1/2"H 304 stainless steel removable backsplash, 1/2" thick removable polymer top, 1-1/2"
Similar to a stainless steel worktable, wood and poly top tables provide an extremely durable and versatile station for preparing food. 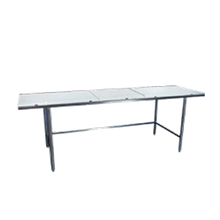 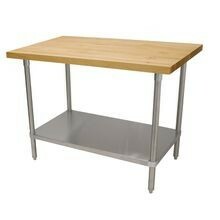 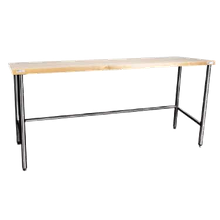 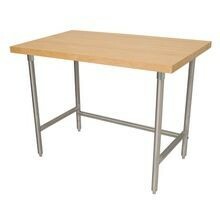 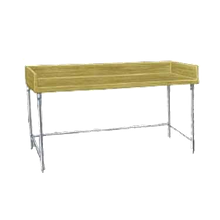 The material of the tabletop is really what sets these worktables apart from the stainless stainless worktables. 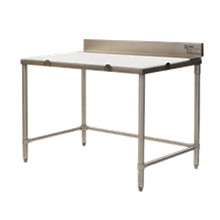 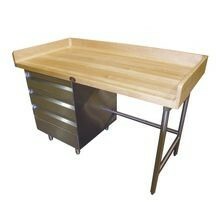 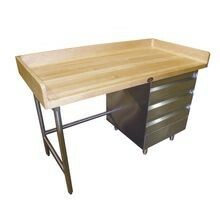 Wood top worktables often appeal to bakers and poly top worktables are a great choice for butchers and delis that use cutting boards on a daily basis. 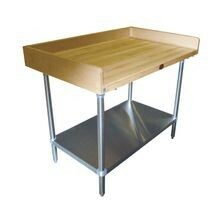 Both wood and poly tops come in a variety of sizes and storage options, like undershelves and drawers.